When you visit the USA, one of the first things you will notice is the food. 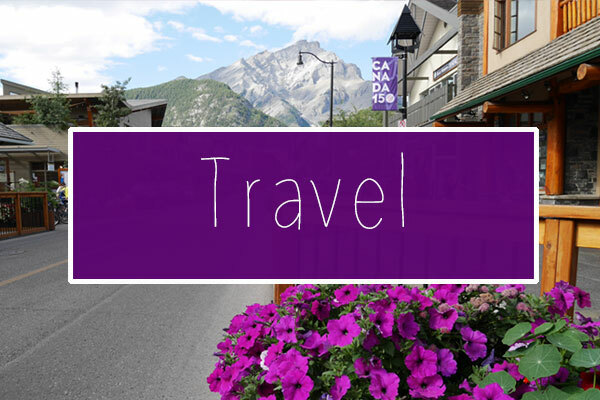 It is home to fried chicken, buffalo wings and hamburgers, as well as traditional favourites such as pumpkin pie, turkey and cranberry sauce, which are always at the Thanksgiving dinner table. Whilst staying in Boston we ate in during the evenings, but for breakfast and snacks during the day we got to try lots of classic American treats. I thought I'd show you some photos of the food we ate in today's post. 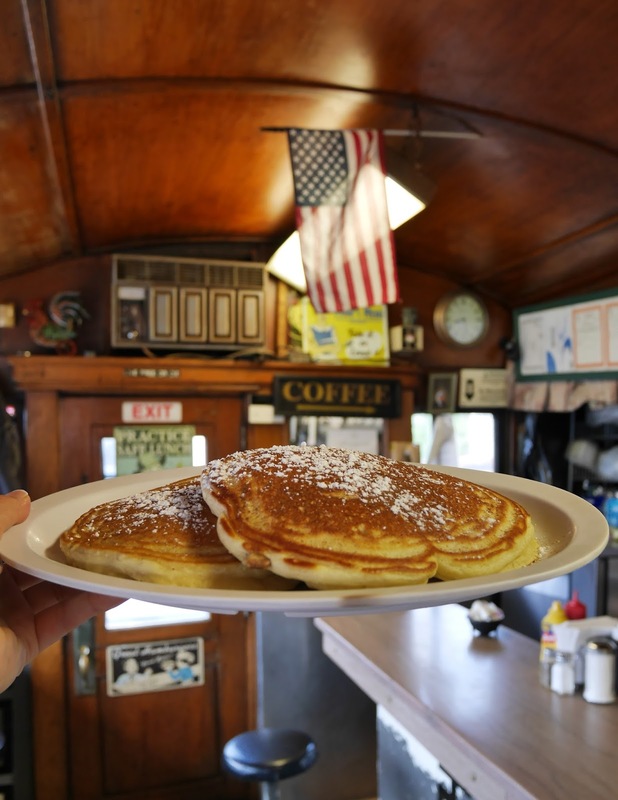 Buddy's Diner is a little independent restaurant that is located in Somerville, MA. 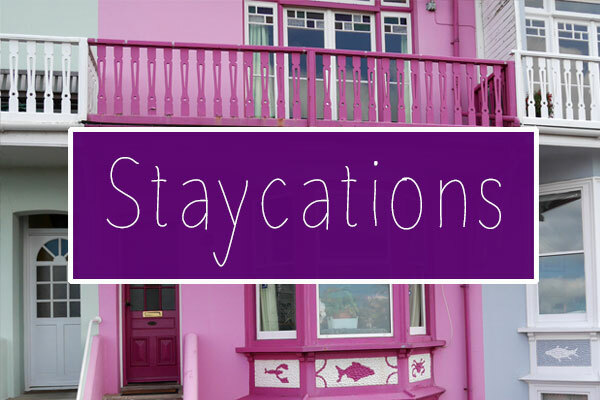 We went there after reading some fantastic reviews on Google and it did not disappoint! As it was my first breakfast in America, I absolutely had to order pancakes. The chocolate chip and walnut variety were absolutely delicious! 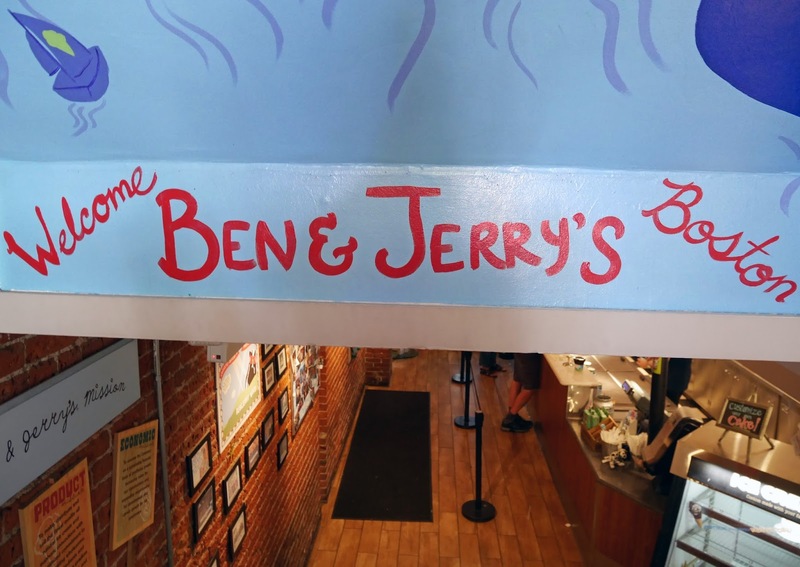 For a snack in the afternoon, we went to Ben & Jerry's for ice cream. 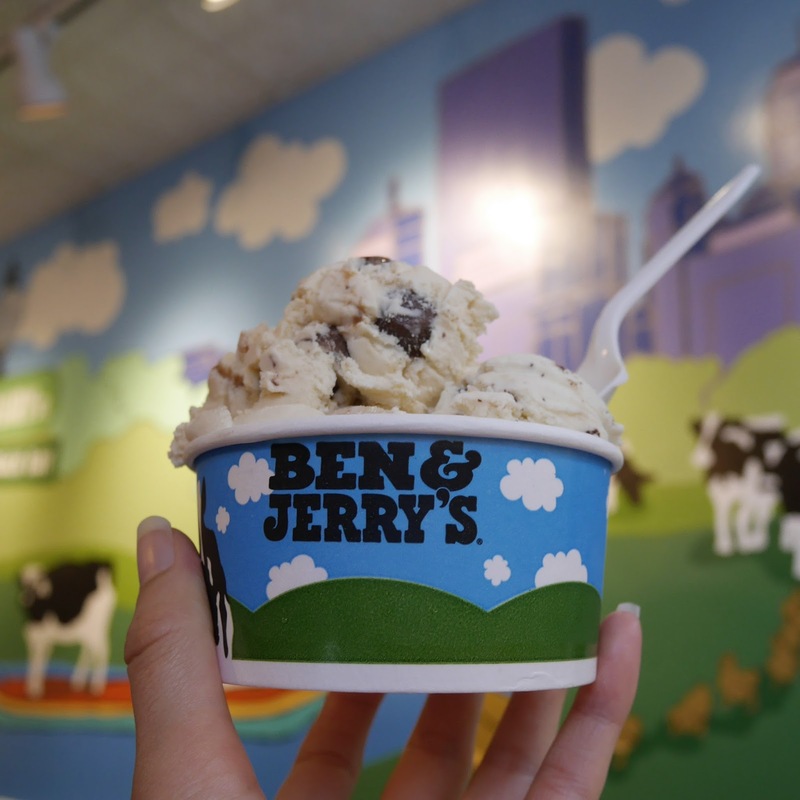 The Boston branch is located on Newbury Street and they have a huge range of flavours in store. Mum and I shared a bowl because the portion sizes were so big and we had scoops of Cookie Dough, Mint Chocolate Chunk and Caramel Chew Chew. 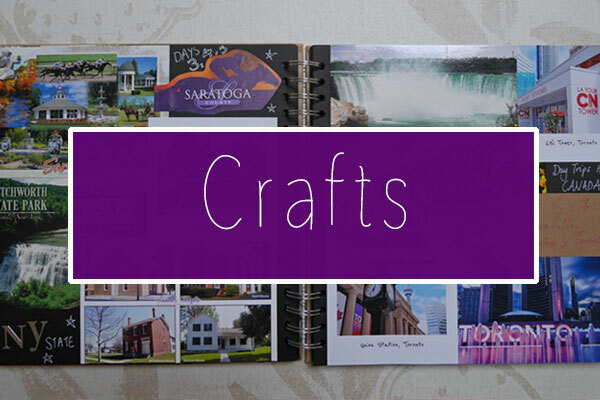 This one isn't food related, but I couldn't not include our Cheers Bar drinks in this post. My Dad ordered one of the local beers and my Mum and I chose matching non-alcoholic mixed fruit cocktails. 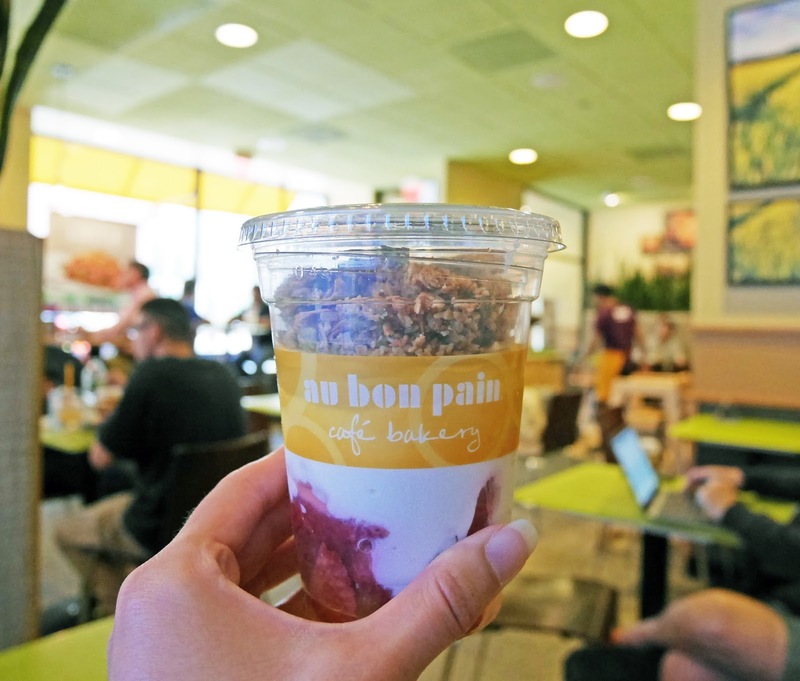 We went to Au Bon Pain for a healthier breakfast on our second day. We ordered granola parfaits and fresh fruit. 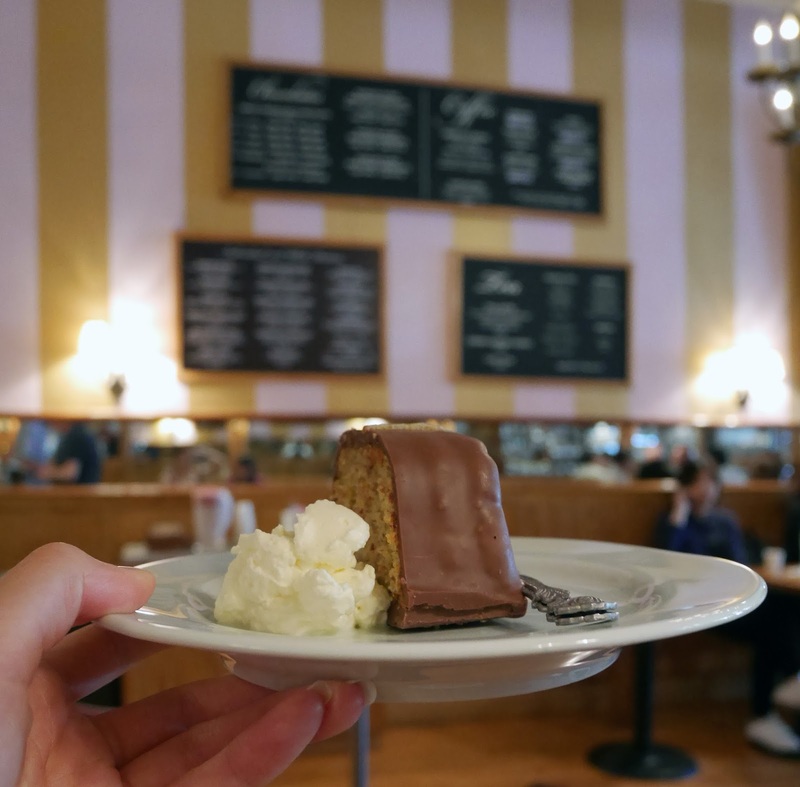 The L.A. Burdick Chocolate Café was marked on my Cambridge, MA map, so we stopped there for afternoon tea when we visited the Harvard University campus. 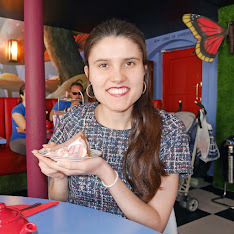 The café felt very nostalgic with it's colourful stripy walls and the cakes were absolutely delicious! On our last night in Boston, we ordered takeaway pizza. It was just what we needed after a busy day of exploring! We ate some really yummy food in Boston. America certainly knows how to do desserts! What's your favourite American food? Haha sorry! �� The drinks were lovely. 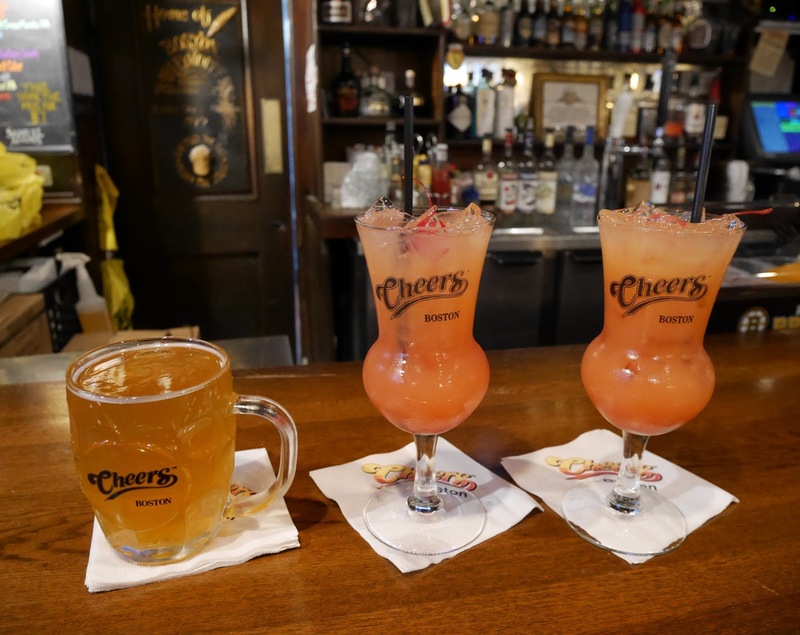 If you ever visit Boston, make sure you visit the Cheers Bar. It has a fantastic atmosphere! Oh my those pancakes, those desserts! America is defo one of those places we need to visit purely for its food. Sounds like you're eating your way through happiness! Look forward to seeing more! 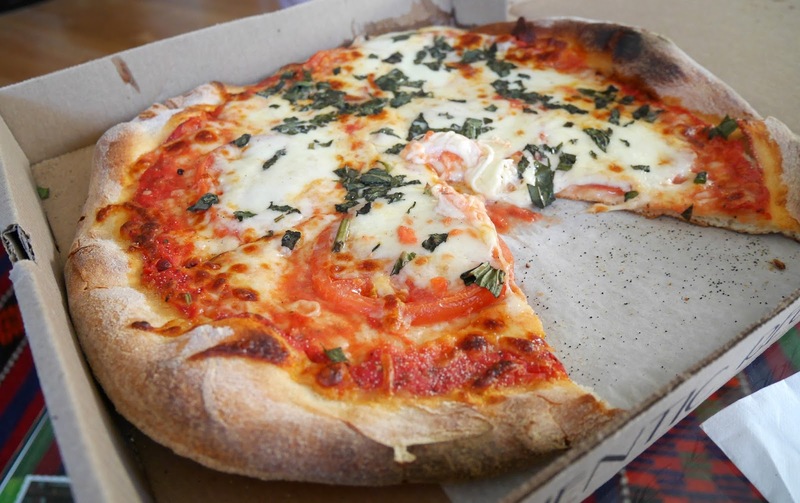 mmmm everything looks incredible - that pizza is dreamy! I love Boston! It is full of amazing restaurants! Everything you ate looks delicious! I live in Massachusetts and work in Boston, and I absolutely love the restaurants here! Looks like you had a delicious pizza in Somerville, and I'm glad that you got Ben & Jerry's!